I had a few of you ask about my miniature tabletop garden on my front porch, so I thought I’d show you what it is and tell you a little bit more about it! It is finally summer around here (we’ve been having great weather for the most part the past couple of weeks or so) and I’m still really enjoying my outdoor projects! I’m going to be back inside soon enough, might as well enjoy the sun while we have it! I was at a cute little garden center near my house earlier this summer and came across the most adorable little fairy gardens in wood boxes and pots. I got so excited about how cute they were I decided on the spot I had to make one of my own. I sent a text message to my girls telling them I wanted to make a fairy garden and they ignored me. They totally thought I was kidding. I think they were worried I was turning into a crazy grandma who puts little ceramic animals in her potted plants. Yes. Maybe I am a crazy old lady now. I actually didn’t get any fairies or animals for my garden (YET, anyway, HA! ), but I did get a couple of little miniature garden accessories and plants. Mostly I was super excited about the plants. I have always loved “step-ables” which is a brand name (I think) for adorable little creeping plants that if you planted them between stepping stones, you could step on them and not kill them. You can see them here (Stepables is not a sponsor, I just like them!). When I designed my patio and put in my little garden about 10 years ago in Portland (Eastmoreland), I planted tons of creeping plants and mosses around stepping stones. You can see them in the photo, above. I really miss that patio, and all my creeping little plants. I cannot describe how happy those plants made me. I’m a dork I guess, it doesn’t take much to make me happy. Just to clarify, I’m definitely NOT a skilled gardener at all. This was the first and only real patio/garden I ever designed or planted in. I was completely in love with it. Anyway, every time I have been to a garden center since living in my current house, I’ve wanted to add those little creeping plants to my landscape, but just didn’t have my yard ready to use them. So far at this house, I’ve only done container gardening. I don’t know why it didn’t occur to me before, but once I saw those miniature fairy gardens, I realized I CAN use creeping plants — in planters and crates!! So, this miniature garden was my first attempt. It probably took about 5 minutes to make. I need more practice but I’m excited about all the ways I can use these adorable little plants. And, I can’t wait to watch and see how the plants fill in. I think I’m now addicted to table top miniature gardens. I love having this little garden in a crate because I can set it on the nesting table on my porch as a conversation piece. If I want to use the table for something else, I just pick up the crate and set it aside! Easy and portable! Have you ever used creeping plants and mosses in your pots or gardens? Come see Five 5 minute miniature gardens! Plus, an update to my Fairy Garden! I love the miniature gardens I’ve seen around! Wish I had gotten around to doing one this summer. Next year! Love yours! This is so cute – and the fairies will love it, they just won’t let you know they are there to enjoy this piece of heaven you’ve created for them. I posted a little tutorial on my Miniature Fairy Garden which I tried for the first time this year too — what I have learned as the season has gone along is that if you leave your garden in the hot sun you’ll need to do a LOT of watering to keep those little suckers alive in a pot. I think I might use succulents next time instead — lower maintenance. But I LOVE my miniature garden and I plan to add a new one to the collection next year. Yours is lovely! Mine is on my front porch, protected by the roof of the porch from the sun. It has been a couple of months now and I only water it a few times a week so maybe it helps to put it out of direct sun! I love fairy gardens! We had a large outdoor one when my kids were young. Recently I did them will all 5 grandkids (oldest 5yrs) but their moms were worried the plants would die…so we just did little houses they painted and rocks and gemstones so far…Love yours!!! I love fairy gardens! Thanks for reminding me to do this project. 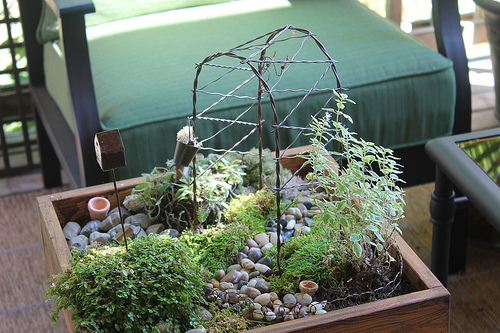 Melissa, I noticed your fairy garden in last week’s post and love it! And I don’t think it’s old-lady-ish at all…..or maybe it is but if so I want to be that kind of old lady that has fun and interesting things in her yard! 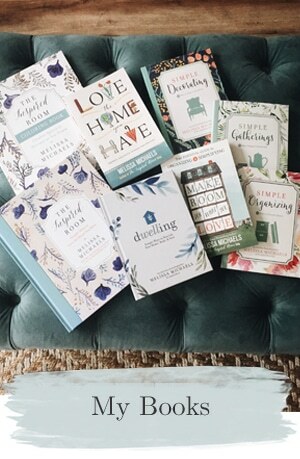 LOVE the stepables – so pretty. Oh my goodness ~ I really love this!!!! My family already thinks I’m a little ‘off’ so if I tell them I’m making a fairy garden it won’t phase them at all…and having all boys…they probably won’t even realize I was talking. p.s. I had never heard of a fairy garden so I really appreciate this..and yours is lovely. Guess I’m an old lady. LOL. Because I think that little fairy garden is stinkin’ cute and I want to make one. This is such a neat idea! I had to smile when I read the part about you being excited and telling your girls and they ignored you! LOL! Wow, have I felt your pain, many times! Ha ha! There are so many cool crates and containers at antique stores that you could do these in. Thanks so much for sharing! My husband and I are starting to think about what to do for our back patio, and the picture of your old patio with the lovely pavers has helped me to see the light! (Cue angel chorus here!) Now we just need some cash….. I love this. I want to do one. I saw one on pinterest the other day, too and pinned it. We’re at the end of summer here so I may have to wait for next summer to make one, but I’m definitely doing one or I may just do one for inside and move it outside next summer!!! I’m excited!! Lots of mosses and stepables are evergreen, so you could do them any time of the year! And I bet you could bring them inside too during the cold months! I love the Stepables too. So fun. I’ve been wanting to do something similar with my kids. Yours turned out adorable. I can’t believe you used to live in Eastmoreland!!! Small “blog” world. I have been making fairy gardens for years. I call myself a fairy godmother. I have made one for indoors and outdoors. For the indoor ones, I use model railroad building techniques, put them in terrariums, or under cloches for protection from dust, dogs and kids. So much fun and I don’t really care who thinks I’m weird. Yay!! I’m sure you have the fairy godmother touch! I can’t wait to try more ideas! :-) I kill plants too. But so far so good with this! Mine is out of the direct sun and I’m trying to only water it a few times a week so I don’t over or under water. But we’ll see. So far (two months) so good! Such a beautiful little garden! And, a whole lot less work than a whole yard! This is the cutest thing ever! I’m going to have to try this when it isn’t 125 degrees on my patio. 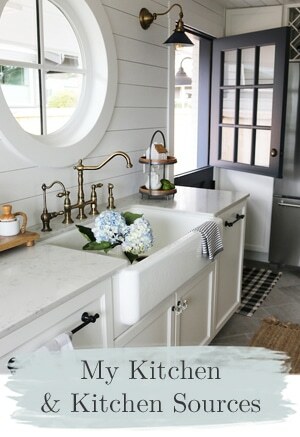 Love the adorable little touches…the bucket is the sweetest addition. 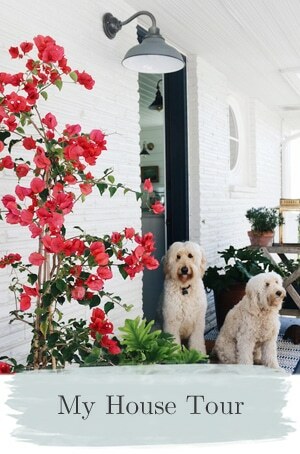 What a pretty garden – I love this idea! How cute! I wish I had a green thumb and would take time to care for something like that. I can see those little fairy’s in there at night playing while you’re asleep. LOL. Thank you Erin!! Have fun with the birthday project! I want your little garden! There are no Stepables in the Phoenix area, so I’ll have to look elsewhere. I would be happy to send you some of my Arizona sun, if you’ll take some of the heat that comes with it! It looks like the garden you loved in Portland. I love it, its so cute. This is so adorable. I love the little arbor. Did you make it or buy it? I have had this in the back of my mind all summer but never got around to it. I bought it all at the garden center. They had everything there! And it only took about 5 minutes to put together, so easy! I would have done a tutorial but honestly, most everything I do is so easy no tutorials are necessary. I promise. I just made it up, maybe I did it wrong but it has been on my porch for two months and no problems at all. I didn’t do anything special to the box, I bought it at the garden center and I don’t believe it has a coating. I only water it lightly a few times a week. It is out of the bright sun, sitting under my porch roof. It doesn’t seem to leak but if it did it wouldn’t ruin anything so I don’t worry about that. All the pieces were available at my garden center but I know I’ve seen similar things at craft stores. I love it. I did one on a wall for a client who was 6! IT was one of the cuttest things I used in her room design. Love your fairy garden! Did you have to line the box to protect it from water damage? I didn’t line the box. Perhaps that would have been a good idea, especially if you were concerned about it leaking? But mine hasn’t leaked. I don’t water it a ton and it is under a roof so it doesn’t get water logged. I haven’t noticed any problem in the two months I have had it. Easy peasy. Melissa, this is so adorable. I want to make one now! We made a little fairy village last year at the base of a tree using twigs, rocks, and some berries for food. I loved telling my boys that the fairies had definitely been there since the berries were eaten. How precious and darling and magical! Thanks for sharing your creation! I love that! 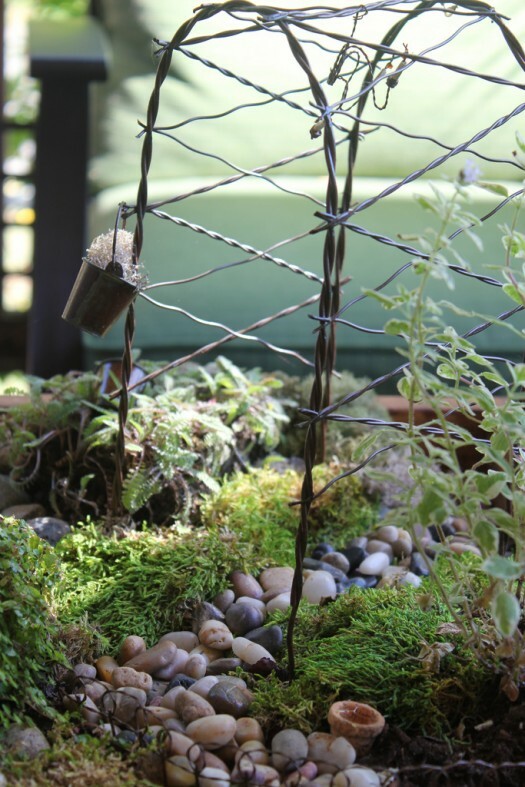 Such a great idea and way to green up a smaller space in your yard, porch or in a sunny room in your home! Love your stepable fairy garden. This summer. I planted some succulents in a bowl shaped tufa rock that I got out of a nearby lake. It was sitting on the deck, and the Corgi girls decided they needed to play with those hens & chicks, etc., so retrieved the chewed on plants, replanted, a put a little white fence around them. Next summer it’s on to potted stepables. I love your little fair garden. It’s very cleaver and I’m going to add this as one of my “favorite” things to try on my project list. Better yet, I may do this as a my program for a local women’s group that I belong to…I’m always struggling for new ideas…. thanks for sharing. Hi Melissa, this is so cute! Lately I’ve been obsessed with terrariums and this is very much in the same vein. I have a super shady patio, but I bet a project like this would be very happy out there. Thanks for the inspiration! 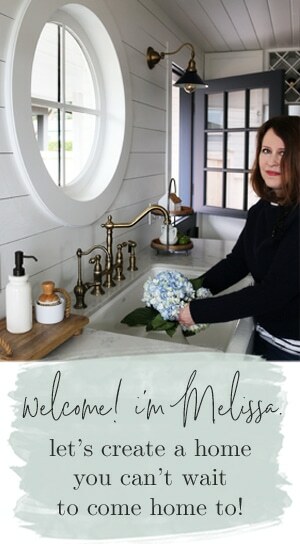 Hi Melissa!I really love your blog. I appreciate the authenticity of your ideas… they feel “real” as opposed to other ideas which belong on the pages of a magazine. Fairy garden and and creepers are super cute !! very inspirational and yes,good luck with the church you are launching! Been hearing about fairy gardens a bit this summer. My sister reminded me that my grandmother had what she called a fairy garden. It was in a giant sphere. It was kept inside. It had lots of animals and people. It also had a mirror for a pond. Been thinking about working on some of these for our flower shop. Thanks for the inspiration. Loved the garden! So adorable and beautiful, I just had to post it to my facebook page for Dragonfly Hollow! 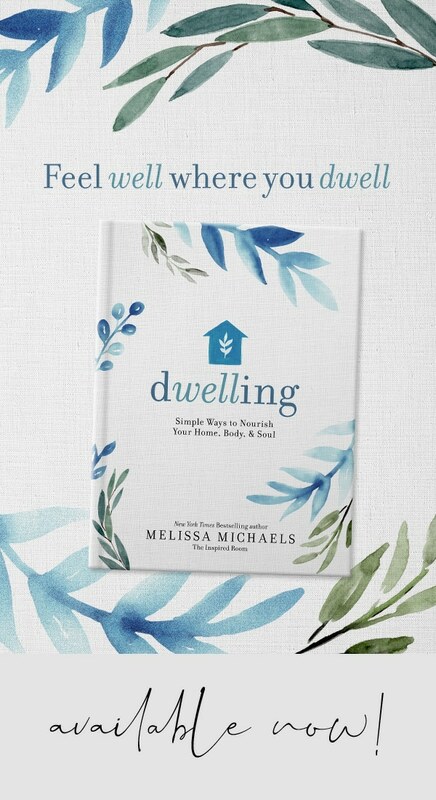 Melissa, you are so inspiring! I made my own little fairy garden, although it’s in need of some small fencing. 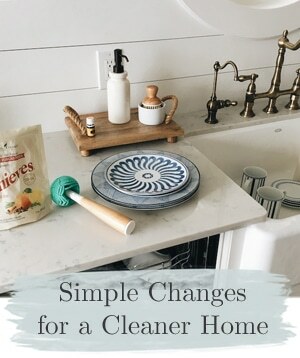 I even included some DIY tips on my BLOG and linked back to you. Thank you!! I’ve been cleaning up after Hurricane Irene. 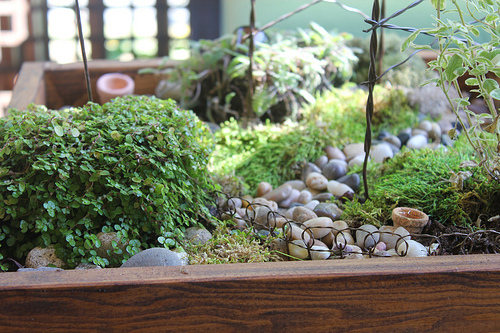 I adore this miniature garden! Where did you find all the sweet garden accessories? What an excellent idea! Especially for those with little time or little space! Absolutely beautiful!!! SHARING THIS IDEA and PLANNING our own version! Hi Melissa, I L.O.V.E. your little tabletop garden too! I’ve always been drawn to the Stepables and haven’t had anyplace to plant them. Now you’ve given me some ideas to run away with. On another note, do you still live in the Portland area? I grew up in Beaverton, but now I live in Southern Oregon. Maybe we’re neighbors — so to speak! Just came upon this posting many months after you made it. A couple of years ago my daughter and I discovered a local shop that was also selling those wonderful little accessories for fairy gardens. We had built many a fairy house outside in various locations, just something for the moment, to leave for the fairies. 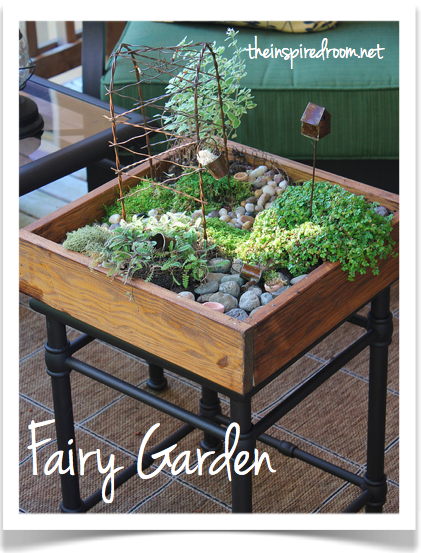 But this idea of creating delightful indoor fairy gardens also captivated us! She has made a couple, and I too have begun doing more indoor container/terrarium type pots, venturing into other little miniature things I have found. I have found some nice small plants locally, but did not know about the Stepables website and am so thrilled to have found it for both indoor and outdoors! Thank you!